AUD 1,444 Excl. Duties / Taxes. This Marquise diamond is 0.5 carat in weight, and comes with Excellent polish and Very Good symmetry, as verified from an independent gemological laboratory. The diamond is graded E in colour, and has a clarity grade of SI1. The diamond's GIA grading report number is 6285759542, which will detail further its specifications and measurements, and will also come with the purchase of the stone. AUD 7,273 Excl. Duties / Taxes. This Marquise diamond is 1.18 carat in weight, and comes with Good polish and Good symmetry, as verified from an independent gemological laboratory. The diamond is graded G in colour, and has a clarity grade of VS1. The diamond's GIA grading report number is 2195530106, which will detail further its specifications and measurements, and will also come with the purchase of the stone. AUD 1,156 Excl. Duties / Taxes. This Marquise diamond is 0.3 carat in weight, and comes with Very Good polish and Very Good symmetry, as verified from an independent gemological laboratory. The diamond is graded E in colour, and has a clarity grade of VVS2. The diamond's GIA grading report number is 6295608951, which will detail further its specifications and measurements, and will also come with the purchase of the stone. AUD 1,361 Excl. Duties / Taxes. This Marquise diamond is 0.46 carat in weight, and comes with Very Good polish and Good symmetry, as verified from an independent gemological laboratory. The diamond is graded D in colour, and has a clarity grade of SI1. The diamond's GIA grading report number is 3295186681, which will detail further its specifications and measurements, and will also come with the purchase of the stone. AUD 1,32,834 Excl. Duties / Taxes. This Marquise diamond is 5.14 carat in weight, and comes with Good polish and Good symmetry, as verified from an independent gemological laboratory. The diamond is graded I in colour, and has a clarity grade of VS2. The diamond's GIA grading report number is 6167353628, which will detail further its specifications and measurements, and will also come with the purchase of the stone. AUD 1,244 Excl. Duties / Taxes. This Marquise diamond is 0.47 carat in weight, and comes with Good polish and Good symmetry, as verified from an independent gemological laboratory. The diamond is graded E in colour, and has a clarity grade of SI2. The diamond's GIA grading report number is 2185884885, which will detail further its specifications and measurements, and will also come with the purchase of the stone. AUD 1,020 Excl. Duties / Taxes. This Marquise diamond is 0.3 carat in weight, and comes with Very Good polish and Very Good symmetry, as verified from an independent gemological laboratory. The diamond is graded D in colour, and has a clarity grade of SI2. The diamond's GIA grading report number is 2307447273, which will detail further its specifications and measurements, and will also come with the purchase of the stone. AUD 1,098 Excl. Duties / Taxes. This Marquise diamond is 0.34 carat in weight, and comes with Excellent polish and Very Good symmetry, as verified from an independent gemological laboratory. The diamond is graded G in colour, and has a clarity grade of VS2. The diamond's GIA grading report number is 1313483175, which will detail further its specifications and measurements, and will also come with the purchase of the stone. AUD 1,622 Excl. Duties / Taxes. This Marquise diamond is 0.5 carat in weight, and comes with Good polish and Good symmetry, as verified from an independent gemological laboratory. The diamond is graded G in colour, and has a clarity grade of VS1. The diamond's GIA grading report number is 2201125779, which will detail further its specifications and measurements, and will also come with the purchase of the stone. AUD 18,219 Excl. Duties / Taxes. This Marquise diamond is 2.5 carat in weight, and comes with Excellent polish and Very Good symmetry, as verified from an independent gemological laboratory. The diamond is graded K in colour, and has a clarity grade of SI1. The diamond's GIA grading report number is 2316576027, which will detail further its specifications and measurements, and will also come with the purchase of the stone. AUD 2,838 Excl. Duties / Taxes. This Marquise diamond is 1.12 carat in weight, and comes with Good polish and Very Good symmetry, as verified from an independent gemological laboratory. The diamond is graded M in colour, and has a clarity grade of SI2. The diamond's GIA grading report number is 5201012358, which will detail further its specifications and measurements, and will also come with the purchase of the stone. AUD 1,507 Excl. Duties / Taxes. This Marquise diamond is 0.42 carat in weight, and comes with Excellent polish and Very Good symmetry, as verified from an independent gemological laboratory. The diamond is graded D in colour, and has a clarity grade of VVS1. The diamond's GIA grading report number is 1317964033, which will detail further its specifications and measurements, and will also come with the purchase of the stone. AUD 3,712 Excl. Duties / Taxes. This Marquise diamond is 0.74 carat in weight, and comes with Very Good polish and Good symmetry, as verified from an independent gemological laboratory. The diamond is graded G in colour, and has a clarity grade of VVS1. The diamond's GIA grading report number is 2185444841, which will detail further its specifications and measurements, and will also come with the purchase of the stone. AUD 13,140 Excl. Duties / Taxes. This Marquise diamond is 1.22 carat in weight, and comes with Excellent polish and Very Good symmetry, as verified from an independent gemological laboratory. The diamond is graded F in colour, and has a clarity grade of VS2. The diamond's GIA grading report number is 5176238485, which will detail further its specifications and measurements, and will also come with the purchase of the stone. AUD 2,470 Excl. Duties / Taxes. This Marquise diamond is 0.7 carat in weight, and comes with Very Good polish and Very Good symmetry, as verified from an independent gemological laboratory. The diamond is graded F in colour, and has a clarity grade of SI2. The diamond's GIA grading report number is 5201069478, which will detail further its specifications and measurements, and will also come with the purchase of the stone. AUD 1,269 Excl. Duties / Taxes. This Marquise diamond is 0.3 carat in weight, and comes with Excellent polish and Good symmetry, as verified from an independent gemological laboratory. The diamond is graded E in colour, and has a clarity grade of VS2. The diamond's GIA grading report number is 1318077619, which will detail further its specifications and measurements, and will also come with the purchase of the stone. AUD 2,380 Excl. Duties / Taxes. This Marquise diamond is 0.6 carat in weight, and comes with Excellent polish and Excellent symmetry, as verified from an independent gemological laboratory. The diamond is graded E in colour, and has a clarity grade of VS1. The diamond's GIA grading report number is 6305783834, which will detail further its specifications and measurements, and will also come with the purchase of the stone. AUD 6,765 Excl. Duties / Taxes. This Marquise diamond is 1 carat in weight, and comes with Good polish and Good symmetry, as verified from an independent gemological laboratory. The diamond is graded G in colour, and has a clarity grade of VVS2. The diamond's GIA grading report number is 15730335, which will detail further its specifications and measurements, and will also come with the purchase of the stone. AUD 2,080 Excl. Duties / Taxes. 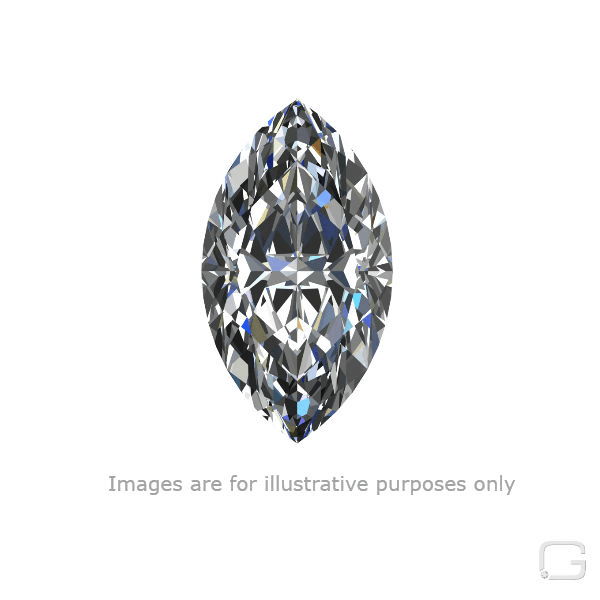 This Marquise diamond is 0.81 carat in weight, and comes with Good polish and Good symmetry, as verified from an independent gemological laboratory. The diamond is graded J in colour, and has a clarity grade of SI1. The diamond's GIA grading report number is 2206514228, which will detail further its specifications and measurements, and will also come with the purchase of the stone. AUD 10,905 Excl. Duties / Taxes. This Marquise diamond is 1.23 carat in weight, and comes with Good polish and Good symmetry, as verified from an independent gemological laboratory. The diamond is graded D in colour, and has a clarity grade of VS2. The diamond's GIA grading report number is 1162170395, which will detail further its specifications and measurements, and will also come with the purchase of the stone. AUD 1,072 Excl. Duties / Taxes. This Marquise diamond is 0.32 carat in weight, and comes with Very Good polish and Very Good symmetry, as verified from an independent gemological laboratory. The diamond is graded D in colour, and has a clarity grade of SI1. The diamond's GIA grading report number is 5296806740, which will detail further its specifications and measurements, and will also come with the purchase of the stone. This Marquise diamond is 0.3 carat in weight, and comes with Very Good polish and Very Good symmetry, as verified from an independent gemological laboratory. The diamond is graded E in colour, and has a clarity grade of VVS1. The diamond's GIA grading report number is 6312779787, which will detail further its specifications and measurements, and will also come with the purchase of the stone. AUD 2,970 Excl. Duties / Taxes. This Marquise diamond is 0.7 carat in weight, and comes with Excellent polish and Very Good symmetry, as verified from an independent gemological laboratory. The diamond is graded H in colour, and has a clarity grade of VS2. The diamond's GIA grading report number is 6312349189, which will detail further its specifications and measurements, and will also come with the purchase of the stone. This Marquise diamond is 1.21 carat in weight, and comes with Very Good polish and Very Good symmetry, as verified from an independent gemological laboratory. The diamond is graded J in colour, and has a clarity grade of VVS2. The diamond's GIA grading report number is 6147837746, which will detail further its specifications and measurements, and will also come with the purchase of the stone. AUD 4,359 Excl. Duties / Taxes. This Marquise diamond is 0.85 carat in weight, and comes with Very Good polish and Very Good symmetry, as verified from an independent gemological laboratory. The diamond is graded D in colour, and has a clarity grade of VS2. The diamond's GIA grading report number is 5192582507, which will detail further its specifications and measurements, and will also come with the purchase of the stone. AUD 1,695 Excl. Duties / Taxes. This Marquise diamond is 0.5 carat in weight, and comes with Very Good polish and Very Good symmetry, as verified from an independent gemological laboratory. The diamond is graded H in colour, and has a clarity grade of VS1. The diamond's GIA grading report number is 1278769754, which will detail further its specifications and measurements, and will also come with the purchase of the stone. AUD 3,341 Excl. Duties / Taxes. This Marquise diamond is 0.72 carat in weight, and comes with Excellent polish and Very Good symmetry, as verified from an independent gemological laboratory. The diamond is graded F in colour, and has a clarity grade of SI1. The diamond's GIA grading report number is 6281237888, which will detail further its specifications and measurements, and will also come with the purchase of the stone. AUD 1,225 Excl. Duties / Taxes. This Marquise diamond is 0.58 carat in weight, and comes with Good polish and Good symmetry, as verified from an independent gemological laboratory. The diamond is graded L in colour, and has a clarity grade of VS2. The diamond's GIA grading report number is 6183104173, which will detail further its specifications and measurements, and will also come with the purchase of the stone. AUD 5,067 Excl. Duties / Taxes. This Marquise diamond is 1.43 carat in weight, and comes with Very Good polish and Good symmetry, as verified from an independent gemological laboratory. The diamond is graded I in colour, and has a clarity grade of SI2. The diamond's GIA grading report number is 1192422236, which will detail further its specifications and measurements, and will also come with the purchase of the stone. This Marquise diamond is 0.3 carat in weight, and comes with Excellent polish and Very Good symmetry, as verified from an independent gemological laboratory. The diamond is graded D in colour, and has a clarity grade of VS1. The diamond's GIA grading report number is 2296568124, which will detail further its specifications and measurements, and will also come with the purchase of the stone.